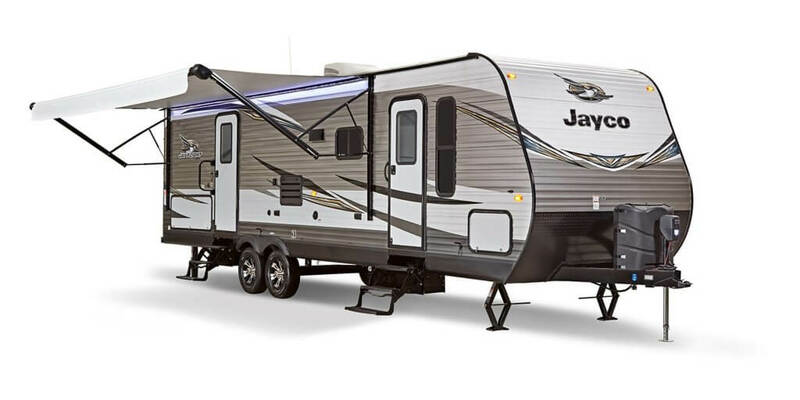 The Jay Flight has been the best-selling family of travel trailers in America for the last 13 years. Find out for yourself what sets Jay Flight apart. 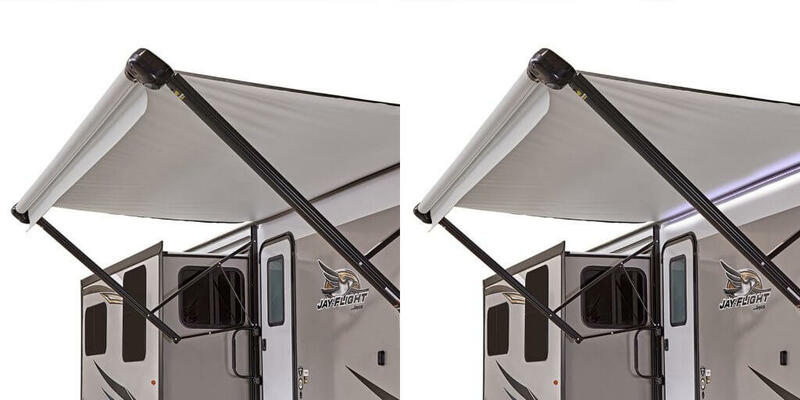 This standard power awning with LED light and integrated speakers bring extra living space to camp—day and night. 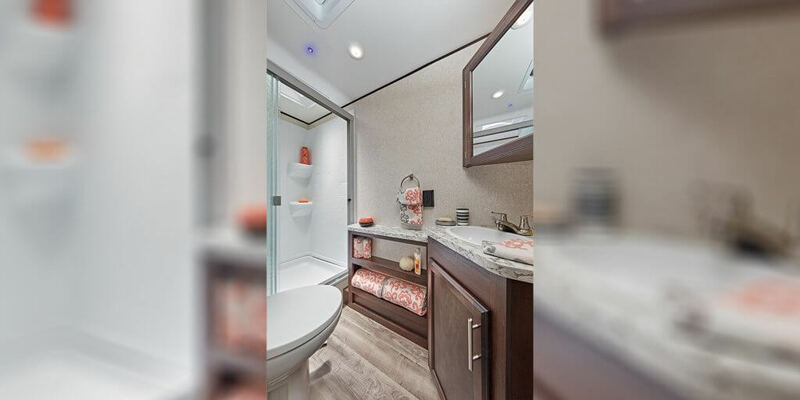 The 28BHS bathroom features a large residential size shower with glass door (select models) and other convenient features such as a foot-flush porcelain toilet, medicine cabinet and power vent. 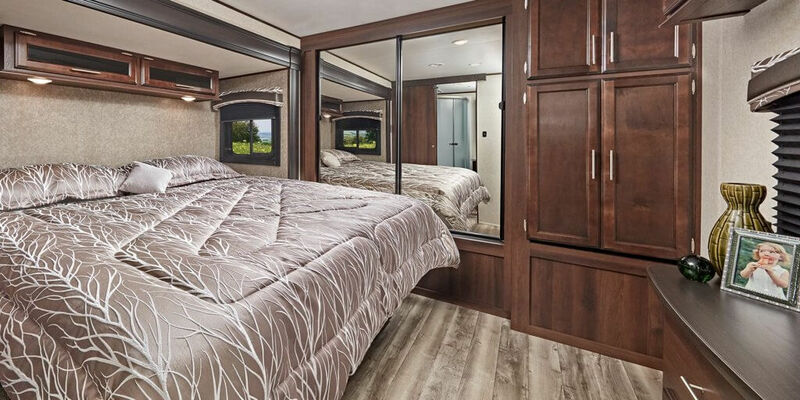 A queen mattress (king option available in 34RSBS, 38BHDS and 38FDDS) and a full hanging closet make the Jay Flight master bedroom oh so welcoming. 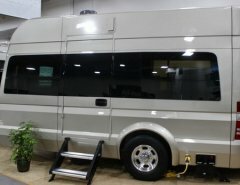 Select models, like this 34RSBS, also feature washer/dryer prep. 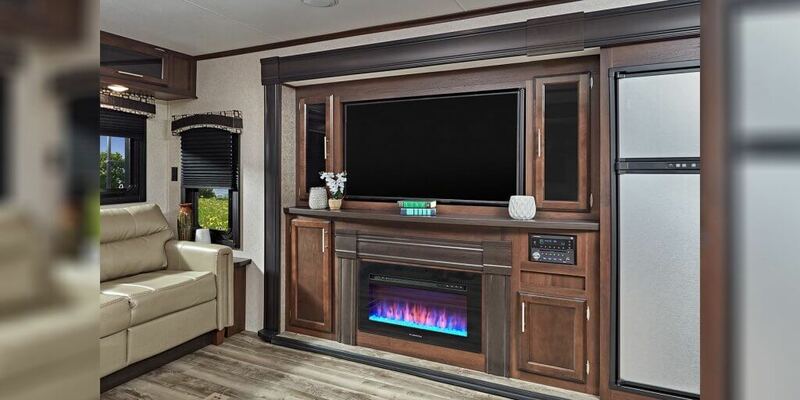 The 34RSBS comes standard with a 50-inch LED TV and fireplace (TV in various sizes optional in other models. Fireplace optional in select models). 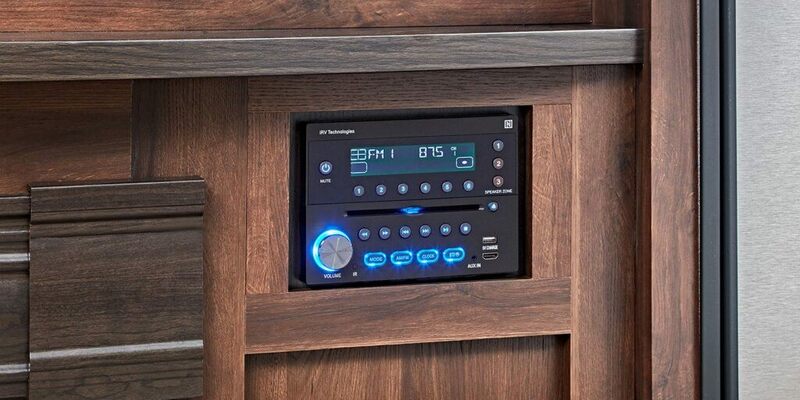 Play all your favorite movies, games and music on the AM/FM/CD/DVD player with MP3 hookup and Bluetooth® connectivity. 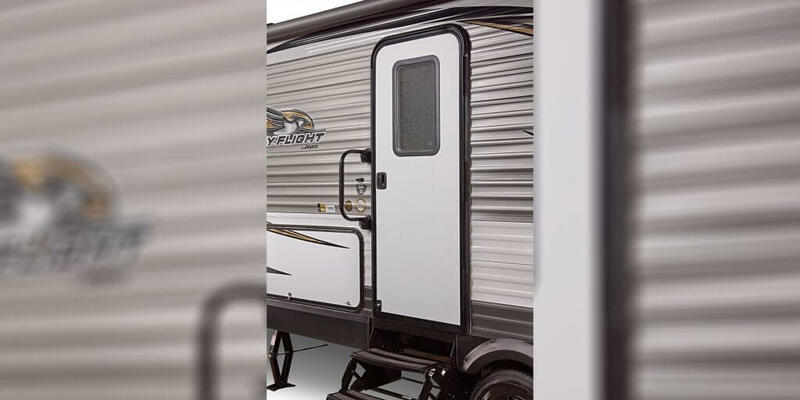 Jay Flight models are available with optional fiberglass sidewalls with frameless windows. 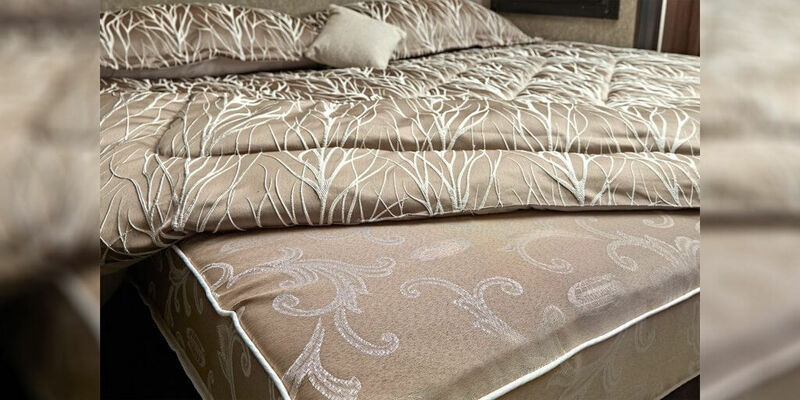 Each Jay Flight comes with a Simmons® mattress and deluxe bedspread with pillows. KeBloc TV mounts are conveniently located in the bedroom and outside to allow you easily use a TV in either space for entertainment. The Elite Package, standard on all Jay Flights, includes an AM/FM/CD/DVD player with MP3 input and Bluetooth®/HDMI® connectivity. 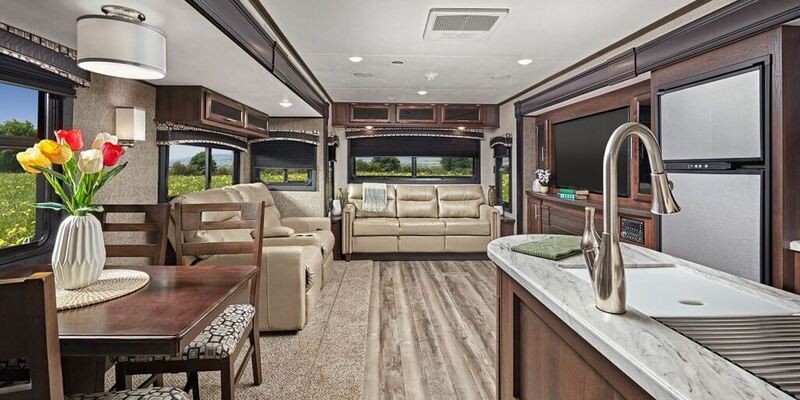 An up/down-style dinette table in the main booth with high-design lighting (SuperSlide models) allow for delightful dining and the J-Steel™ jackknife sofa adds sleeping flexibility. 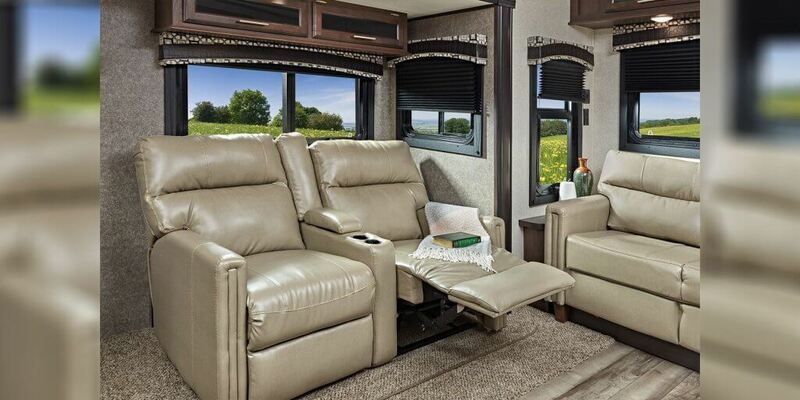 The oh-so comfortable reclining theater seating with heat, light and massage may just become your new favorite chair. 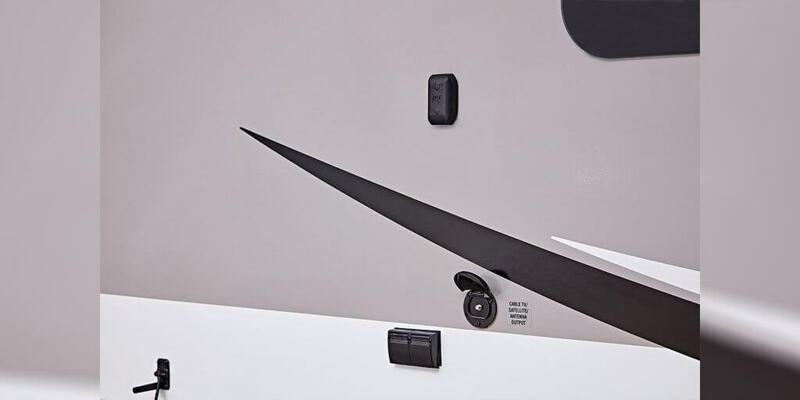 The Customer Value Package includes a spare tire with cover. 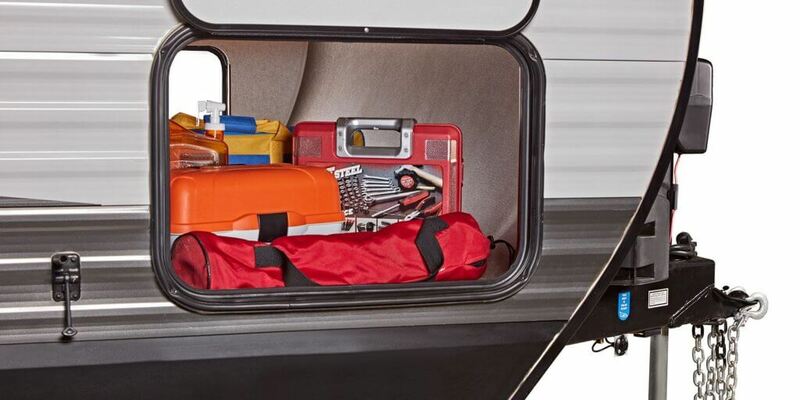 The Jay Flight is built with generous pass-through storage compartments, perfect for all your favorite camping gear. All storage and entrance doors are also Keyed-Alike™. 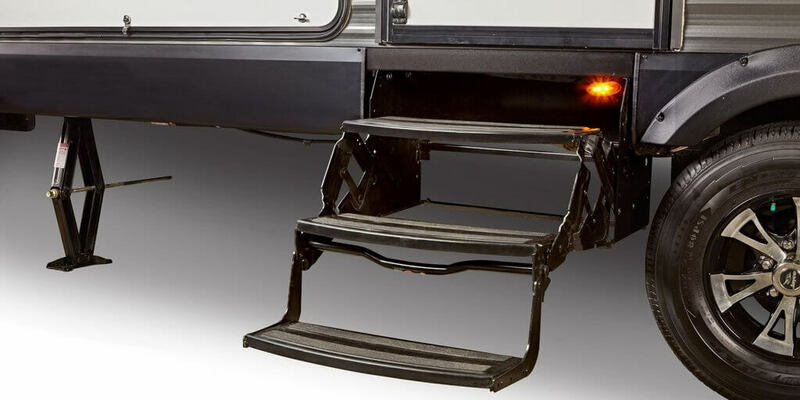 Jay Flight’s triple, non-slip entry steps extend closer to the ground and retract easily and securely for safe travel. 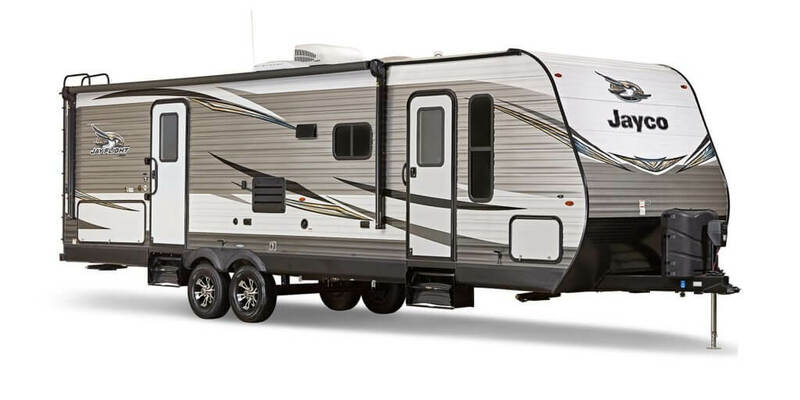 The family-friendly Jay Flight offers several floorplans with bunkhouses, like the 28BHS pictured above. 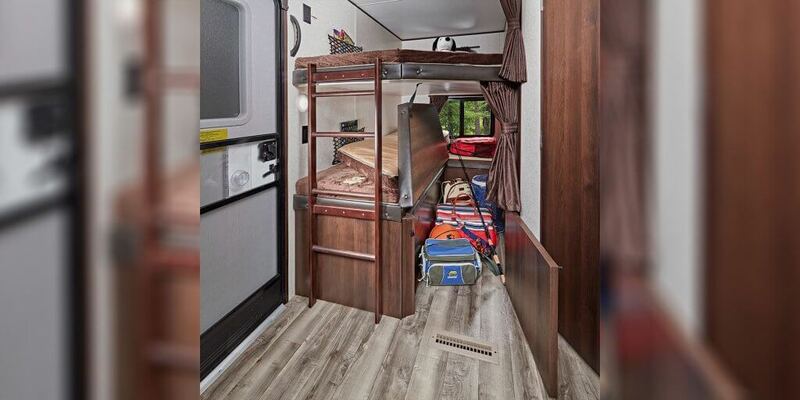 Bunks are built strong—to industry-leading weight ratings—so you can use them with confidence. 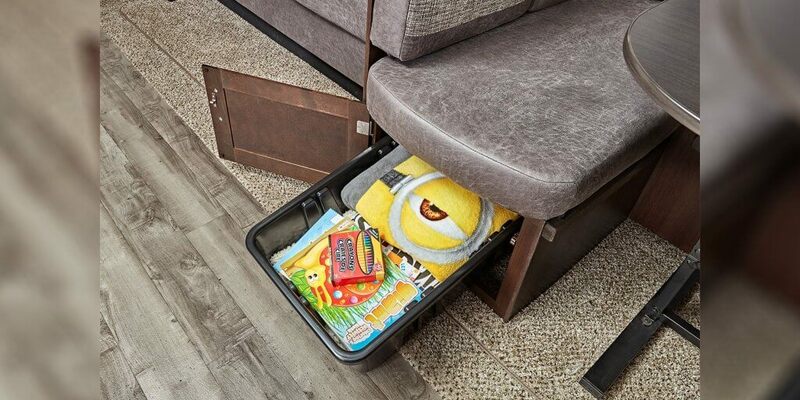 Jay Flight dinettes are conveniently built with usable storage space below with large, easy-to-organize containers. 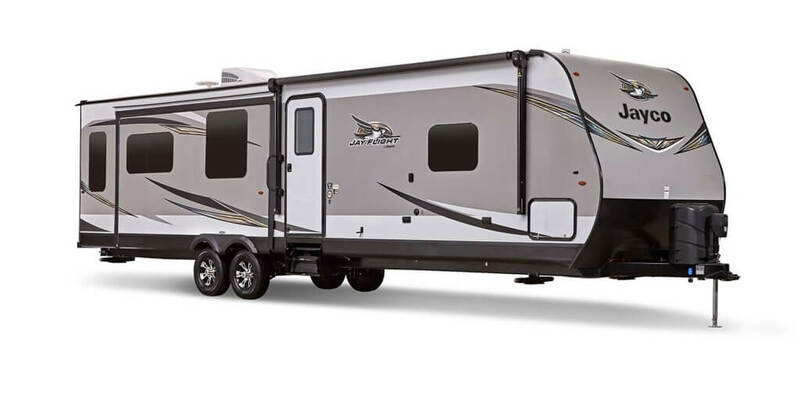 The campsite can be an active place, so we’ve built in this large, 30-inch by 72-inch, entry door—up to 4 inches wider than other brands—with a grab handle so you can move safely in and out of your Jay Flight. 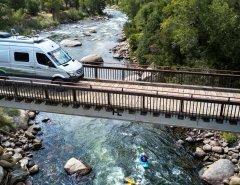 The Jay Flight is built with I-Class™ cambered structural steel I-beams and a fully integrated A-frame. 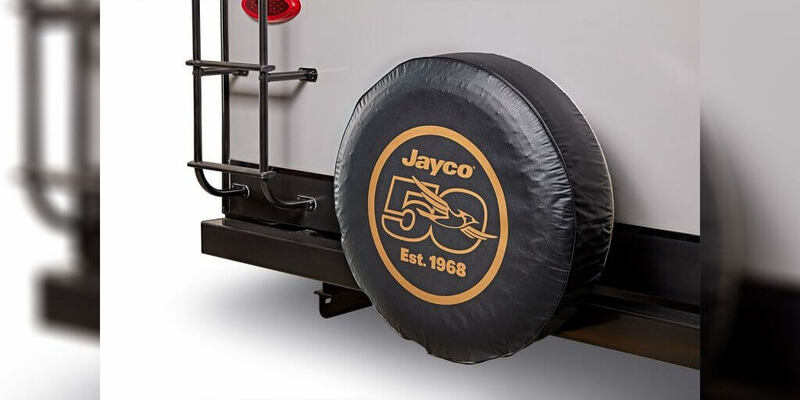 The floor uses 5/8-inch tongue-and-groove plywood decking and the roof features Jayco’s Magnum Truss™ Roof System. 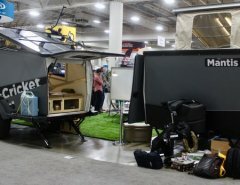 The Jay Flight is equipped with a power tongue jack, four stabilizer jacks with sand pads and a power awning with LED light and speakers to make setting up camp quick and easy. Electric auto-leveling and/or stabilizer jacks are also available as options. 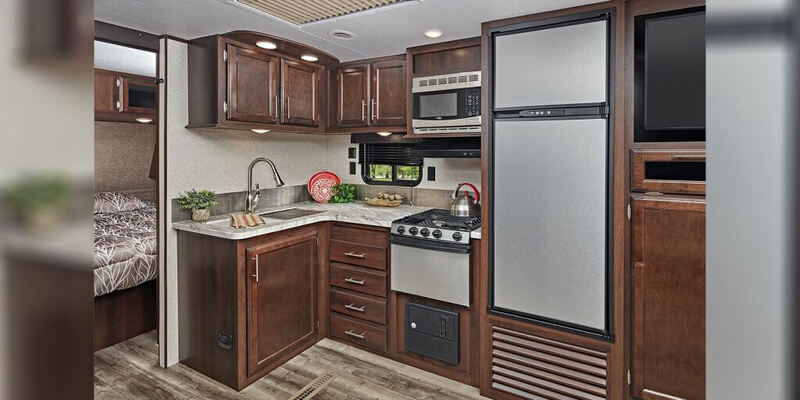 Stainless steel appliances, including an 8-cubic-foot refrigerator (18-cubic-foot in 38BHDS and 38FDDS), a brushed-nickel, pullout faucet and a 3-burner range with 9,000-BTU SuperBurner™ with piezo igniter make for a complete kitchen. 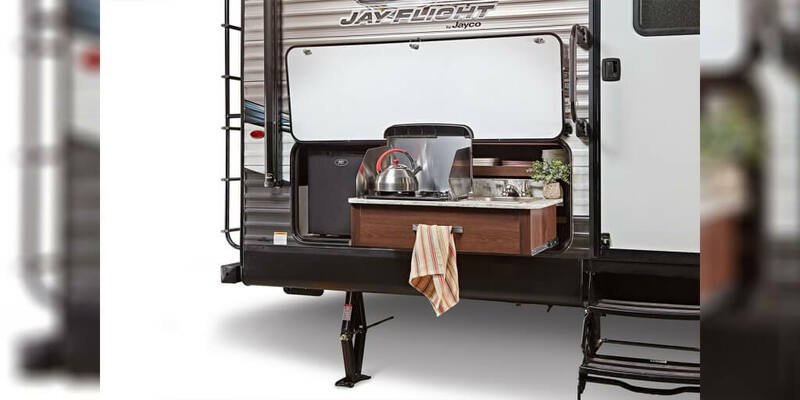 Several Jay Flight floorplans come with an outdoor kitchen standard for convenient exterior use. 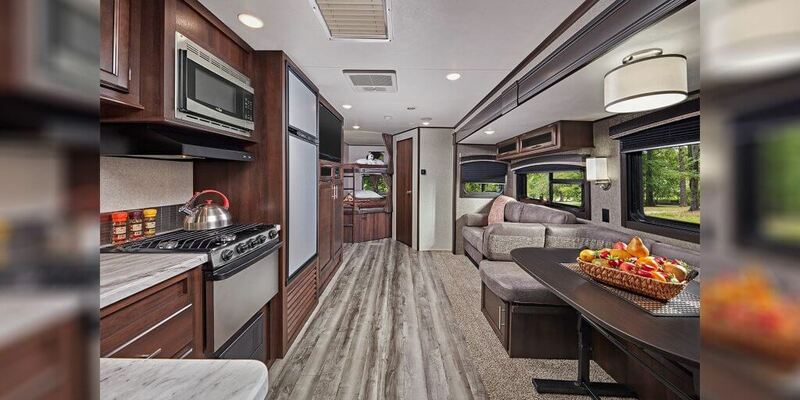 Features like DiamondFlor® vinyl flooring and Shaw® residential-grade carpet (select models), plus seamless, solid-surface-look countertops, pleated shades and an 81-inch ceiling height come together to provide all the comforts of home.